Aussie Shiori Kutsuna, Japan’s newly crowned 2012 Natto Queen. Strine-speaking Shiori Kutsuna has been declared the 2012 Natto Queen, an award handed out to celebrities who promote fermented soybeans, or natto, as they’re known in Japanese. 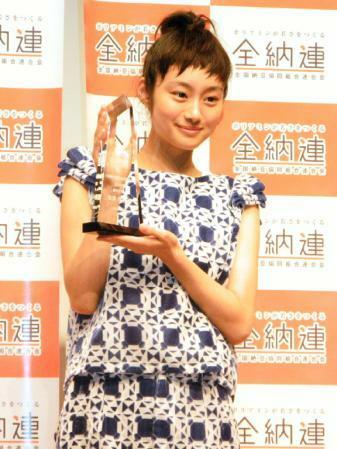 Kutsuna, a 19-year-old Sydney-born actress, was presented with her award at a ceremony in Tokyo earlier this week. 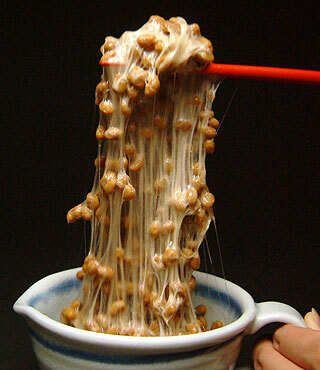 Natto are a popular dish, particularly in eastern Japan, and are highly valued for their nutritional content and health benefits. Less widely praised are the gooey, sticky texture of the fermented beans. Kutsuna was born in Sydney and spent her formative years in Australia’s biggest city, learning how to speak fluent Strine. She is a dual Australian-Japanese citizen. As Japan’s Natto Queen, an award bestowed by the Japan Natto Cooperative Society Federation, Kutsuna follows in the footsteps of such luminaries as Rei Kikukawa, Aya Ueto, Tomomi Kahala, Kaori Manabe and Akiko Wada.